What is a Qualifying Recognised Overseas Pension Schemes (QROPS)? A QROPS is simply an offshore pension scheme which complies with the rules and regulations outlined by HM Revenue & Customs. The QROPS needs to be based out of the UK, in an offshore jurisdiction, and the QROPS provider must comply with all HMRC requirements. For a pension product to be classed as a QROPS, a number of requirements must be met. First of all, it must fall under the banner of an Overseas Pension Scheme (OPS). For this to occur, the product must be registered as a pension scheme, and it needs to be created overseas and regulated by the tax regime of the jurisdiction where it is based. Also, to obtain OPS classification, the QROPS must be regulated as a pension in the country where it was created. If this is not the case, then QROPS must be either based in an EU Member State, or also Norway, Iceland or Liechtenstein, or it must be ensured that a minimum of 70 percent of a member's UK tax-relieved scheme funds will provide the lifetime income. - The QROPS was created in a Member State of the EU, Norway, Iceland or Liechtenstein. - The QROPS is available to local residents of the establishing jurisdiction, and a minimum of 70 percent of the transferred funds will provide an income for life. Also, benefits are not permitted to be paid out before the usual pension age- 55 for anyone who retired before or in 2010. The QROPS must also be accepted, registered or acknowledged as a pension by the tax authorities of the jurisdiction in which the QROPS is established. 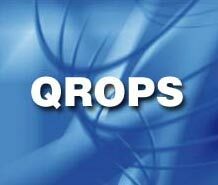 What is the structure of the QROPS? - A master trust is created which names a trustee (the provider) along with their powers, roles and responsibilities in relation to the QROPS. - The provider (trustee) must be based outside the UK for the scheme to be seen as a QROPS. - The scheme allows great flexibility regarding trustee investments over a wide range of assets including cash, bond, property, hedge, equity and commodity funds. - The trustee of the QROPS holds these investments on behalf of the member and will manage the product - The trustee will make the payments from all benefits created by the QROPS. How is does a scheme attain QROPS status? The jurisdiction where the QROPS is established will have specific legislation and practices that will qualify the scheme. Also, for local providers to supply QROPS provider they will have to meet HMRC rules regarding benefits and reporting requirements, which are necessary for a total ten tax years after the member has become non-UK resident. Where the jurisdiction rules and the HMRC QROPS approval rules differ, which rules will apply to the scheme? HMRCs minimum requirements must always be met for QROPS status to be acquired. If the rules in the QROPS jurisdiction are actually stricter, then these will be applied to the QROPS. However, if the local jurisdiction rules are less stringent, then the HMRC requirements must be met completely. For this reason it’s important to choose the right jurisdiction when taking a QROPS. Do all overseas pension schemes qualify as QROPS? No. There are cases where people have attempted to transfer into unauthorised QROPS, doing so will incur payment charges of up to 55 percent. Who can move their pension into a QROPS? Anyone who is entitled to a UK pension who is moving away from the UK. Why might an individual want a QROPS? When can UK pension rights be transferred outside the UK into QROPS? Transfers can be made either before the holder takes benefits or when they’ve come into payment. However, if the pension is already in payment then it is unlikely that the final salary scheme provider would give a transfer the go ahead.